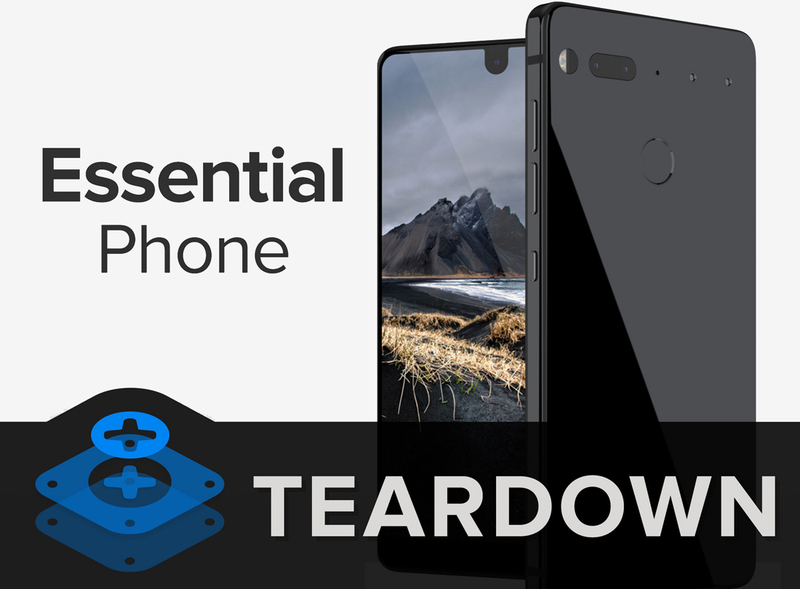 iFixit calls it a "hot mess"
The Essential Phone, the brainchild of Android co-founder Andy Rubin, features a respectable exterior design and a supporting cast of hardware and software that’s good enough to compete with industry titans – at least, according to early reviews. The team described the process of breaching the phone’s first line of defenses as a “harrowing arctic expedition” due to the fact that they had to lean on “super cold” chemical spray rather than heat to remove the back cover. The LCD panel also presented issues as prying attempts resulted in a shattered screen – a rare misstep from a team that typically exhibits surgical precision. Finally, some good news (sort of) as the phone’s battery is held in place by a stretch-release adhesive. Unfortunately, getting inside was clearly a struggle and the battery was additionally trapped under another bracket. Digging deeper, the team finds that the front-facing camera and earpiece speaker are a single unit. This makes replacement a bit easier albeit a little more costly as you’ll be replacing two components should just one die. What’s more, the coveted USB Type-C port is soldered to the motherboard and the fact that there is no headphone jack means it’ll be subjected to additional wear and tear over time. All things considered, iFixit awarded Andy Rubin’s first phone the worst possible repairability score (a one out of 10). On the bright side, the Essential Phone uses standard Phillips/JIS fasteners (to the extent that screws are used). Aside from the screws and the aforementioned stretch-release adhesive used to secure the battery, however, fixing a broken Essential Phone will be rough sailing.